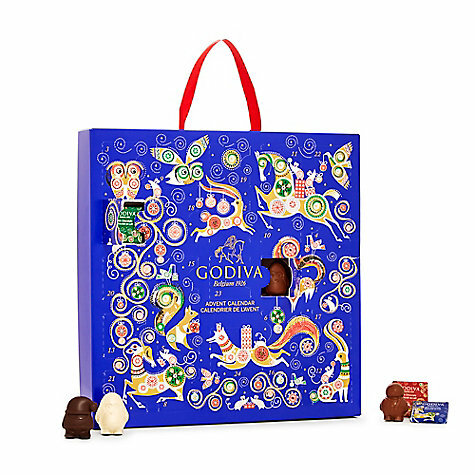 Count down the days to Christmas with Godiva’s 2017 advent calendar filled with luscious chocolates. US$25 (HK$195) only. It’s certainly a wonderful gift for all you favorite chocolate lovers – each calendar is filled with an amazing array of milk, dark, and white chocolates, including 9 pieces in their latest fun, seasonal shapes – jolly Santa, wintry Penguin, and festive Snowman. Inside also features 15 individually wrapped milk chocolate carres in seasonal wrappers. An original and colorful experience everyone will enjoy.